Adults may go missing due to choice, an abduction, foul play, a mental or physical disability, or a natural catastrophe, among other reasons. Although no accurate estimates exist of the number of missing adults, the Federal Bureau of Investigation (FBI) reported that as of January 1, 2014, slightly more than 50,000 cases of missing adults (age 18 and older) were pending in the National Crime Information Center (NCIC) system, a federal computerized index with data on crimes and locator files for missing and unidentified persons. 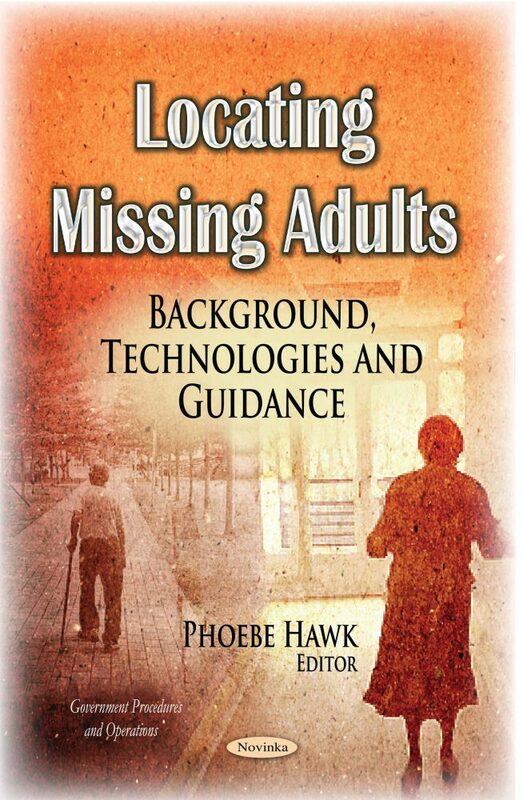 Certain adults are particularly vulnerable to missing episodes; for example, those with dementia are at risk for becoming disoriented while engaged in a routine activity and may not be able to determine where they are or get to where they should be.